Searching for a job in today’s market demands a stand-out resume. Employers today aren’t choosing between a handful of resumes; they’re choosing among thousands! Resumes of yesterday included an objective statement. Most objective statements state the obvious, no matter how well they are worded: You want a job. Replace the objective statement with a professional summary. A bulleted list or short paragraph should be at the top of your resume. This summary should highlight any career achievements and any unique skills that you possess. The professional summary is a chance to wow your potential employer. SEO, or Search Engine Optimization, is the buzz word among web designers and bloggers alike. Think of your resume as a personal webpage and include the right keywords. Look for keywords to include by studying the job posting. A great job posting will give you clues. 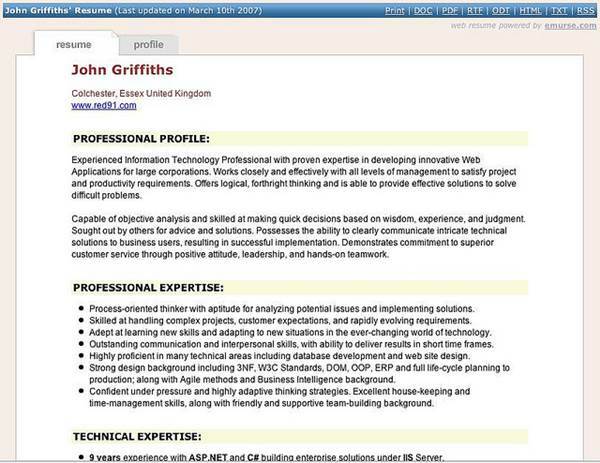 Large companies are using software to scan resumes for specific keywords before the resumes hit human eyes. Keep this in mind as you’re constructing your resume. Make no mention of references on your resume. Your potential employer assumes that you will provide references if they are requested; don’t state the obvious. Instead of a list of references, include a web-link to your LinkedIn profile or personal web page. Keep a separate list of references in your bag and pull it out when it’s asked for. Save the space on your resume for information that’s more important. Even 10 years ago, it was acceptable to send the same resume to hundreds of companies. Today, it’s important that you send a unique resume to each company that you are applying with. Take a few moments before you send your resume and tailor it to the specific job posting. You may need to change a few words or completely edit your resume. Remember that you want the job; spending 15 minutes editing your resume is well worth the time. Forget the typewriter and the off-white paper. If you want your resume to grab attention, make it unique. Consider putting your resume on a flash drive or on a DVD. These items are easily duplicated and distributed. Make an E-resume. Use a beautiful, medium-weight paper. Look for ways that you can make your resume stand out in the pile. Just be careful of getting too creative if the industry you’re in doesn’t appreciate imagination. Your old resume isn’t going to land you a job any time soon. It’s time to catch up with the times and recreate it. 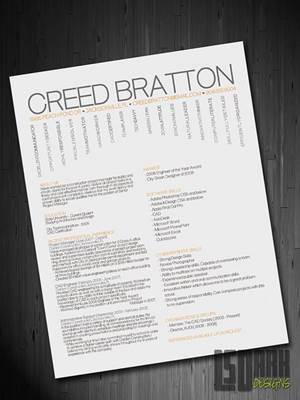 With a unique, well-organized resume, you’ll be sure to get noticed and, fingers crossed, land the job. Gary Well is an avid blogger. Interested in putting your resume on DVD? Check out these disc replication services.